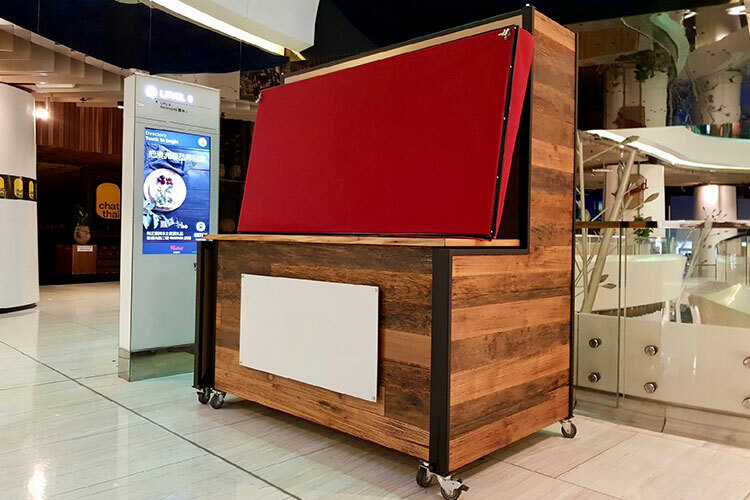 The Market Cart is another of Avatree’s retail displays that can be utilised by retailers and brands for in centre activations. 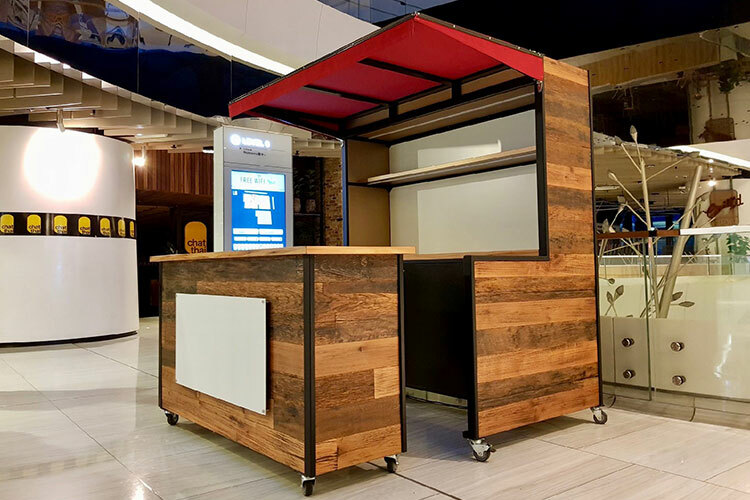 Designed as a pop up market, the build required strong quality finishes, manoeuvrability and accessibility as a priority. Fabricated in steel with powder coated finish. Reclaimed hardwood timber exterior and lockable cabinetry. ACP signage panel mounts to the front for easy adhesion of vinyl decals branding and graphics.